In years past, the term “artificial intelligence” often generated thoughts of science fiction scenes where robots defeat humanity and take over the world. In truth, however, AI’s influence on the globe has largely been — and continues to be — an overwhelmingly positive one. As Tech Emergence explains (https://www.techemergence.com/the-impact-of-ai-on-business-leadership-and-the-modern-workforce/), AI holds “enormous potential” to empower mankind by giving us the tools necessary to automate redundant tasks, spot patterns within new and existing data, and uncover important insights — insights that have already (and significantly) impacted both industry and our daily lives. With AI becoming more and more ingrained in our lives and work, the need for skilled professionals who can harness this technology’s potential in the business sector will only grow. Touro University Worldwide’s new online MBA degree in AI with a concentration in Management is designed to help meet that need (https://www.tuw.edu/academics/business/online-mba-artificial-intelligence-management/). AI and machine learning have already revolutionized how businesses approach developing short-term and long-range strategies. With its increasing ability to replicate the capabilities of the human brain – and at much faster speeds – AI continues to be a focus for smart companies looking to get an edge on the competition. According to leading technology experts, that edge will include increased security, improved sustainability, new services, and wider customer reach (https://medium.com/foursquare-direct/in-ten-years-the-future-of-ai-and-ml-fa68a527f378). The new MBA AI Management Concentration at TUW provides students with a unique blend of skills and knowledge necessary to pursue a management career with the ever-expanding list of companies looking to capitalize on the growing AI arena. 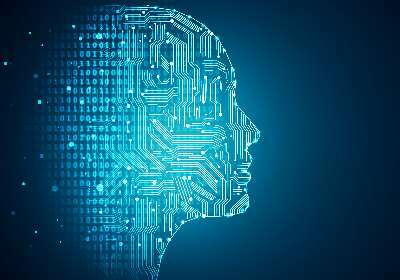 The MBA degree with AI with Management concentration will provide students an opportunity to learn about specific organizational and managerial implications of AI on business strategy and management, the challenges of delivering AI technologies, and the steps executives should pursue when developing strategies for their companies. The curriculum includes an in-depth study into the challenges AI can bring into organizations, as well as the economic, ethical, business models and impact of AI technologies on the business world. Our MBA degree in AI with Management concentration can be completed in one year as a full-time student. There are no entrance exams, and our 100% online courses are offered 6 times a year, enabling you to start when it is most convenient for you. Click the following link to learn more or apply: https://www.tuw.edu/landing/mba-ai-info/.